Two soldiers and three rebels were killed in an overnight gunbattle in Kashmir, officials said Sunday, in the latest bloodshed in the disputed Himalayan territory. Hundreds of Indian soldiers and counter-insurgency forces surrounded Awneera, a village about 50 kilometres (32 miles) south of the main city of Srinagar, on Saturday evening following a tip-off about armed militants in the area. A fierce firefight broke out in which three militants and two soldiers were killed, army spokesman Colonel Rajesh Kalia told AFP. A police officer, speaking on condition of anonymity, said the militants were identified as locals. 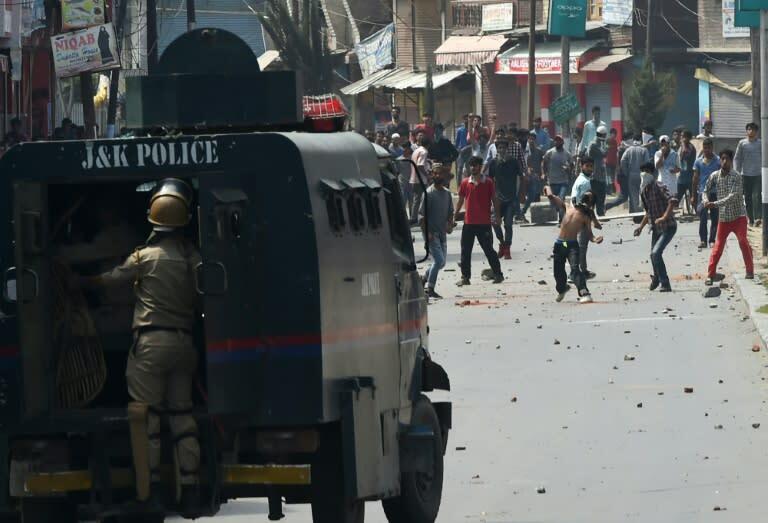 As news of their death spread, hundreds of residents from neighbouring villages took to the streets in protest, throwing stones at soldiers and chanting slogans against Indian rule. In a separate incident early Sunday rebels fired at an army convoy in the northern are of Hajin and injured two police officers and a soldier, the same police officer said. On Saturday a civilian and a soldier were killed in gunfire between Indian and Pakistan soldiers along the heavily militarised de facto border splitting the territory. At least 130 militants and 39 soldiers have died in clashes so far this year, officials say. Kashmir has been divided between India and Pakistan since the end of British colonial rule in 1947. Both claim the territory in full. Rebel groups have fought since 1989 in Indian Kashmir, demanding independence or a merger of the territory with Pakistan, and tens of thousands -- mostly civilians -- have been killed.